Non rotting, hard wearing, stiff Bahia fibres. Superb water holding qualities. 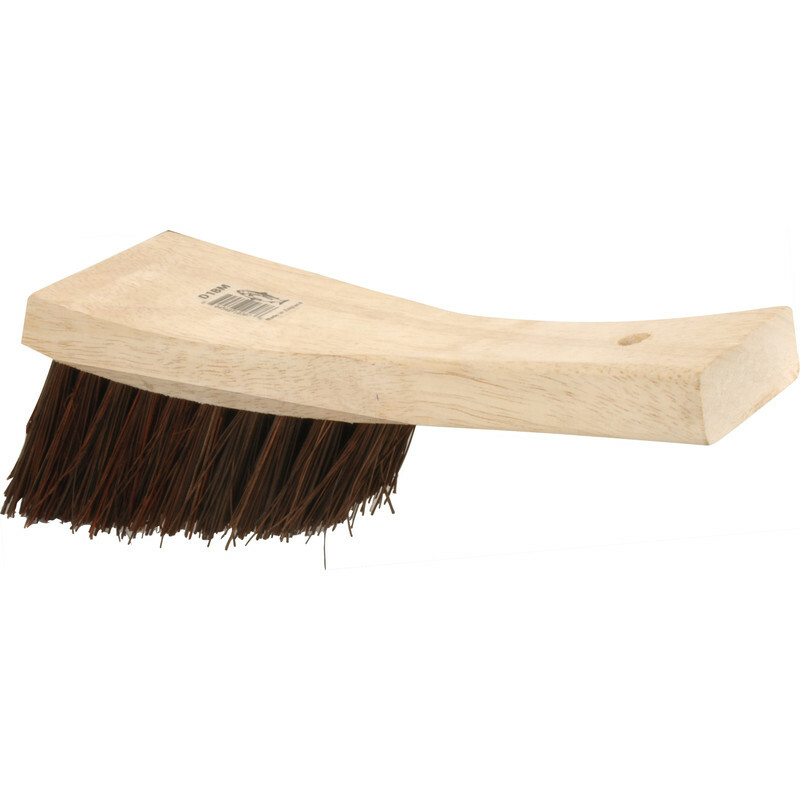 Bent handled churn brush, protects knuckles & fingers from damage. Can also be used in boiling water. UK manufactured. Stiff General Purpose Brush is rated 4.9 out of 5 by 7. Rated 5 out of 5 by Birdseed from STIFF GENERAL BRUSH I bought this brush recently and it is perfect for what I needed it for (cleaning lawn mower and other garden tools after use. Rated 5 out of 5 by Anonymous from Perfect brush for outdoor housework I've used these Hill Brush stiff brushes for about 20 years and don't see how anyone with any outdoor space could possibly manage without one. Incredible next-day delivery from Toolstation at no extra cost. Rated 5 out of 5 by Anonymous from Well-satisfied Bought for brushing down exterior rendered wall for painting. Just the job. Rated 5 out of 5 by Skinflint from Rare find I have had a brush like this for years but have needed a new one for a long time as mine was down to 5mm bristles I could not find one anywhere until I started using Toolstation. This brush I brilliant value and does everything from scrubbing out bird baths to cleaning tools. Fantastic find.